Over the years we have become aware of the need for a reliable but simple soil mixing machine for the alternative home construction industry. The need for large quantities of quality soils soon becomes the largest expense as well as the largest headache for the Legacy Green Home contractor. The claims by block press manufacturers that all soils are usable, Click here to view a page about this claim! have ruined many ambitions and projects as well as embittering many contractors towards pressed earth block technology as well as other renewable resource programs. The lack of good soil can cause delays to a project rendering the project profitless as well as pointless. The Powell Earth Blender allows the user, along with any block press machine, to blend the perfect soil at a rate the block machines can keep up with. There is no need to hand mix soil for consistency as well as hydration. In many cases this allows the contractor to utilize local soils where in the past he would not be able to because the soil would not make a quality block. For the Rammed Earth Contractor the ability to continuously produce perfectly hydrated stabilized soil is easily attainable. It has been our experience that the contractor spends approximately 75 % of his time blending dirt. Cutting his actual block manufacturing time down to 25% of his time spent on site. 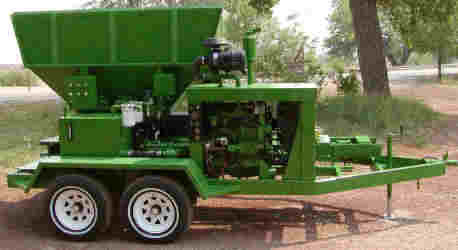 With the POWELL EARTH BLENDER, the blending and block manufacture is SIMULTANEOUS. Not only can you mix and hydrate your dirt correctly, but you can also add Portland or lime or any other additive that you wish to add via the Portland auger or an injection system. And finally, no more wondering if dirt will be available, of the right consistency and moist enough. At EarthTek Inc. we are dedicated to the pressed earth block as well as the rammed earth industry. We believe that earth construction is as GREEN as you can get and is in it's infancy. At EarthTek Inc. we are dedicated to the success of every one of our clients and have proven our capabilities in both the manufacture of equipment and the application of earth construction technology. 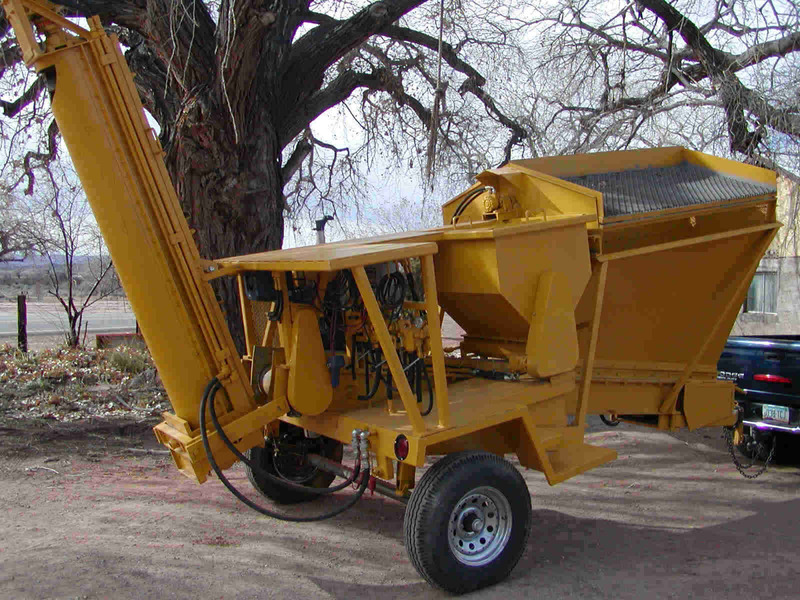 At EarthTek Inc. we are dedicated to producing the highest quality, most user friendly, longest lasting and most profitable machines on the market.